Looking for a legit work from home opportunity of side hustle that doesn’t cost anything to sign up? Check this out! As an introvert, I’m always looking to minimize and control my interactions with people. When you have social anxiety, it can be hard to find a job or a side hustle that’s one where you can work from home. This work from home opportunity is PERFECT for all the introverts who don’t want a job in a call center, but want a legit way to make money without having to deal with people! Is there a good work from home opportunity that doesn’t cost money? When you hear “side hustle“, what do you think of? Do you think of bugging your friends and family to buy stuff from you? What about Facebook “friends” who add you into groups without your permission to sell you crap you don’t need? Well take a deep breath, because this post has NOTHING to do with that stuff. I know, it’s a relief isn’t it? The truth is there are lots of ways out there to make money without having to SELL anything. As an introvert myself, I struggle to even make social phone calls, let alone ones that include high pressure sales tactics. So what does a shy girl like me do for a side hustle? Surely there has to be something out there that’s a good job for introverts like myself. For starters, there’s my blog which of course you are currently reading (and hey, thanks for doing that by the way!). I have written before about how to start a blog on a budget, which details all the tools I use to make money as a blogger. But what if blogging isn’t your thing? Or what if (like me) your blog doesn’t make enough to equal a full time income just yet? There are lots of things you can do but I wanted to share something that I am currently doing to make a bit of extra money. I had done a lot of reading on Pinterest to try to find ideas for work from home jobs for introverts. There were some good ideas, some not so good ideas and some downright awful ideas. Some of the ideas required you to pay for an expensive course, or some other foolishness. I didn’t want that. I just wanted honest, steady money even if it was just a couple hundred dollars a month to help with bills. I discovered that while many work from home opportunities are too good to be true, there was a market for video captioning online that piqued my interest. Rev.com is a company that provides both captioning and transcribing services to companies that need it. Everyone from major TV networks to YouTubers to universities use their services for closed captioning (you know, the words on the screen for the hearing impaired) and transcribing. I have done so many cool projects for them in the last month! I am currently averaging between $200-400 a week doing captioning work. It’s not going to make me a millionaire, but it’s not too shabby for a side hustle, the work is interesting and always changing, and it certainly helps with the bills. You can choose how much or how little you want to do and they pay EVERY week on Monday morning like clockwork. The company is reputable, and they have a ton of resources available to help you improve your speed. Since they pay by the audio minute, more speed equals more money in your pocket. 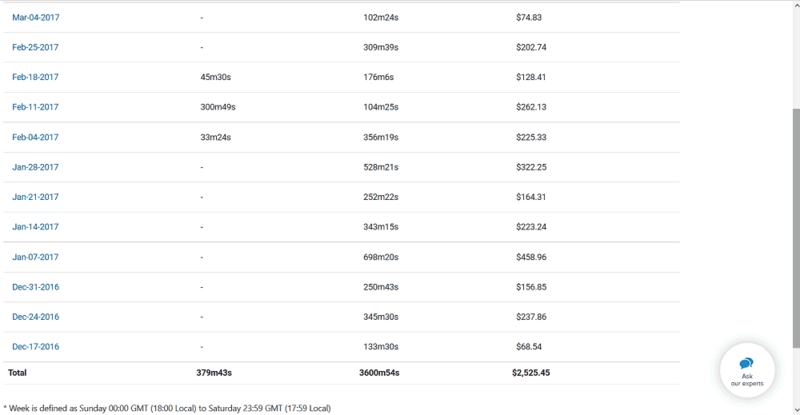 Here’s a screenshot of my earnings so far from 12/16 to present. I’ve been slacking lately due to my cat being gravely ill and requiring round the clock care so as you can see I haven’t made as much the last week as normal. You have to pass a couple tests in order to be accepted into their program, but they are fairly simple to pass. The great part about them is that you can get started usually right away (I had a short wait before I was allowed to start because they try to regulate the number of captioners vs the work available so that there’s never a shortage of projects). And like any legitimate work from home opportunity that isn’t some kind of a scam, there’s no pyramid here where you have to recruit your friends, no cost to start work, and no selling involved. You just sign up, pass the basic test, and once you get accepted work like any “normal” job. Note: There’s no monetary incentive or bonus structure for me telling you about Rev.com, I just wanted to share about it because I know that I searched all over for something that would be a great side hustle for introverts who hates sales! If you decide to give it a try, I do recommend investing in a USB foot pedal and a decent pair of noise canceling headphones because it makes your work faster and easier, but they are by no means required. Also, you’re not signing any kind of contract so you’re not obligated to any amount of work, or to work at all. 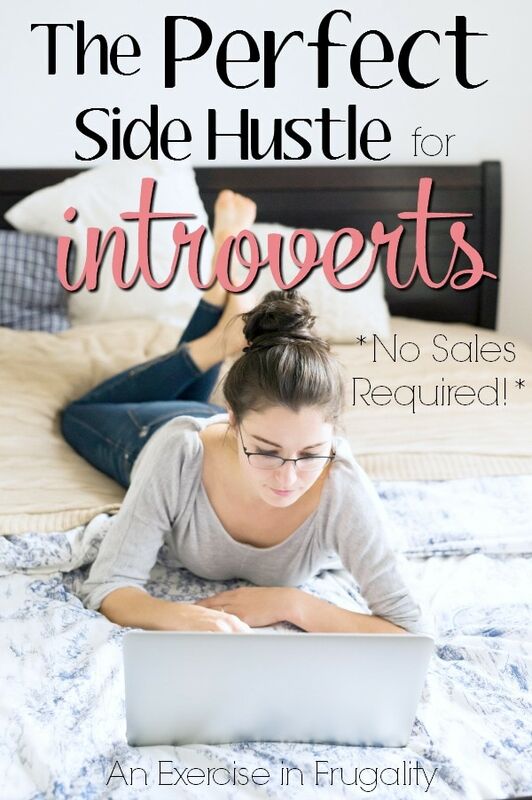 It’s kind of the perfect side hustle for introverts because you literally do not have to interact with ANYONE unless you want to (there’s a great help forum that also has a few social threads going if you choose to engage). There’s no sales involved, Rev finds all the work, you just go in, preview the files, select the one you want to work on (after seeing how much it pays, how long it is, etc) and get to captioning. When you’re done, the dollar amount is credited to your earnings and the following Monday morning you’re paid for all your work from Sunday thru Saturday. Easy. Perfect for stay at home moms too (though this is best done with headphones at naptime since you need to be able to clearly hear your videos), introverts, college students or anyone who knows how to operate a computer and wants to make a little extra cash! If this isn’t your cup of tea (or if you’re waiting to get approved with Rev) you can check out some of these other great work from home opportunities. All of them are legit, and they all really work! What do you think of this work from home opportunity? This is excellent. Thanks for sharing it. You’re very welcome! Glad you find it helpful. They are a great company to work for/with. Can you please tell me how the USB foot pedal helps with this job? I have never heard of a foot pedal for a computer. Thank you so much! Sure! The foot pedal is totally optional. What it does is it plugs into any USB port on your computer and with a couple quick steps it will be programmed to control the playback on the video files. Rev defaults the tab button to start and pause videos, but when you get going really fast, it’s actually faster to not move your hands over to hit a key to start/stop your video but rather use your foot instead. Some people prefer to keep it on the keyboard, totally just a matter of preference. Hope this helps! I’m currently quitting my job to go back to school full time and have heard about Rev.com. It seems great but I just have one question that’s been bothering me. What about taxes? At the end of the year would you have to pay in money to the IRS? Or is everything automatically taken out? So with Rev it’s like any other “contractor” type job. You get a 1099 at the end of the year and you do have to pay your own taxes on the income, they do not withhold for you like a typical employer would. Typically people set aside about 1/3 of their income for taxes if this is your sole income, but you’ll want to check with a tax professional in your state for specifics. Hope this helps! Does this company pay with a 1099, or are taxes and social security deducted immediately. I’m interested. How many hours a week would you have to work to reach around $300 a week? I am from South Africa. Can I also apply for video captaining. My home language is Afrikaans, would that be difficult. Good day have you joined them yet I am also from RSA and when I saw your comment it made me curious? Hello- I went to the website and clicked on careers. They had 3 jobs listed but none were for captioning, transcription. How often do they post those types of jobs that you are doing? Following, I could only find how to request something to be transcribed but not how to become one who does the transcribing. Whoops, yeah I guess it’s not in the easiest place to find. Let me see if I can’t change my links above to take you directly to the page. Sorry for the hassle! I started out captioning and recently picked up transcribing too, so there’s a lot more work if you cross-train in both (you have to apply separately). Hopefully you guys find it helpful! Would love to try. I have no website at this time. Approximately how long does it take you to caption a 60 min video? I know that it will vary depending on the person’s skills, but I am just wondering how many hours you are spending each week captioning? This is something I have read about on other blogs and am interested in trying it out. Hmm, I haven’t actually timed it, but I have read others saying they take 2-3 hours to do a 1 hour video. Most people start off much slower than that (so you obviously make less per hour until you get the hang of it). Rookies start out at a lower pay rate also, but you get more per minute and first dibs at projects as you progress. Most weeks I’m captioning about 400-500 minutes of video and I would say I’m probably in the 2-3 hours per hour of video range, but that’s an educated guess. I think most people who do this average $300 a week, and there are a few that actually do full time hours and make quite a bit more. I would suggest giving it a shot-you’re not under any obligation with them once you’re accepted-there’s no contract, no minimum so really if you hate it you just stop taking jobs. It’s really very nice in that regard! Is it hard to understand the videos? Great read! Yes, I recently started a blog and love it because I enjoy writing and sharing my mom moments. But I am an introvert and hate the thought of selling stuff to people! I was recently hired by Rev and am excited to start! Congrats! Hope you find success with your blog and with Rev! Thank you for sharing. I think I could try this. I don’t want to apply til I’m sure I’m ready to do the job! I’d love to see a screen shot of your earnings from Rev, because I worked for them for several years and the only people I know of who work for Rev and make that kind of money are the people who work in their office in California. Rev had a solid core of people who had worked for them long term, were extremely competent and experienced, and they started letting many of them go last fall, about the same time that they opened up work to people from foreign countries and dropped the price per minute steeply on both the caption and transcription sides. As for time to complete, even the most experienced captioners take about an hour per 20 minutes of actual work to complete when the file is perfect, a single speaker with no atmospherics and background music. Rarely are those files available and when they are, they are snapped up quickly by the most experienced employees before anyone else gets a chance at them. Then ,once you’ve finished captioning your video, you then have to go back and synch the captions with the video. So that’s a second pass, and that too can’t be done in real time. It takes skill to get the words synched up correctly. And then you have to go back and watch it one last time, if you are a good captioner, to make sure everything is correct, before you send it to the client. So a one hour video, if you are PERFECT (and no one is) will take you a minimum of five hours to complete. Let’s say it’s an easy video and you’re getting .50 pet audio minute. That means for a one hour video, the best you can make is $6.00/hr. Most of the time you will make far less. Anyone interested in Rev should google “Is Rev a ripoff?” Their BBB rating is 1.5 out of 5. Their Yelp rating is just as bad, and the owner, Barron, was recently busted for writing his own Yelp review to try to boost it. I would steer very clear of Rev. Hi Maggie, Sorry you’ve had a bad experience with them. I can assure you I have zero reason to falsify anything about what I’ve said above as I don’t have any incentive from them for writing about it. Also I have never had to watch a video a third time like you described. Once I got the hang of it, I would watch once to type captions, and a second time at 200% speed (sometimes slower if its a very face paced video) to sync. The comments here won’t allow me to add a screenshot, so I will edit the post above to show a screenshot of the earnings. As far as falsifying reviews on Yelp, that is unfortunate if that’s the case, however I have never had any issue with them as far as payment goes, and if I don’t like the price they are offering on a video, I simply choose another file. I have not heard of any people from “foreign countries” taking all the jobs, though I do know people have mentioned that the price per minute has gone down in recent months, but as you can see I still have made exactly what I said I did. I have earned anywhere from .53 cents a minute to .90 cents a minute and for me it averages around 2-3 hours for one hour of audio, so I am still making somewhere between $14-20 on average, unless of course if it’s a particularly difficult file but I tend to steer clear of those. I made Revver+ fairly quickly within a few weeks of starting, so I have first pick of files but that is something anyone is able to achieve as well as there are no limit to the number of people allowed to reach Revver+. Again, sorry to hear you had a bad experience with them, it’s definitely not for everyone and it would be difficult to make a full time income from, but for a side hustle it is one of the more lucrative ones I have tried personally. Are you still doing work for this company? I am really interested in making extra cash to save. I found this article on Pinterest, and have been wondering the same thing. I really need a work from home job- I hope we get a response! Is Rev something you can do with a laptop or specifically a MacBook? Because I don’t have a PC and was curious how difficult it would be to do something like this with just a laptop. Can you share a little about what kinds of things you need to be able to do Rev or should I just go to their website and figure it out from there? Thank you for sharing this, though. I had no idea something like this existed. I’m really interested in making a bit of side cash, and I am like you. I have no desire to annoy friends and family trying to sell products to them they don’t want or need. So this was a great post. Thanks again! Thanks so much Rachel, I’m glad you found it helpful. You absolutely can do it from a laptop (PC or Mac). Some people don’t type as fast on a laptop but that really just depends on your comfort level with your laptop. If you look at the screen shot in the post above where I showed my earnings, everything after January 11th was done on a laptop while I was bedridden from a back injury so I literally was on a laptop LAYING DOWN! Definitely slowed me down a bit but totally doable. The only skills you need really are typing (the faster/more accurate the better) and decent spelling and grammar skills. The rest is just learning a few basic hot keys which you can customize to your liking and learning their software which is quite simple. If you can operate a Mac, you can definitely work with Rev without worry. 🙂 They have a great support team, and there’s a forum where you can always ask questions from more experienced captioners/transcribers if you run into issues. Interesting info! I’m curious as to how your earnings are taxed. Do you happen to know if it is taxed as contract labor? Thanks! Offhand I believe it is a contractor position so they provide a 1099 for tax purposes. I’ve heard when you do work that required a 1099, you end up paying in taxes at the end of the year. Was this the case for you? Yes, you do pay taxes on it at the end of the year. Any other income from an employer comes out before you get your paycheck, but contract work does not. For me it’s not an issue because I already do other subcontract work and since I’m self employed I have to do this anyway. I believe they only send a 1099 if you make more than $600 (since I started in December of 2016 I did not make that much in 2016 but I will get one for 2017 at the end of the year) but you still have to claim the income. Hope this helps! Thanks so much! I’m a VA with my own growing business but I applied for this for slower times. Thanks for the tip! As a fellow introvert myself, I need part time jobs like this. What happenes if I don’t get accepted? I believe if you don’t get accepted you can take the test again after a certain period, but I am not sure. I passed my first try, if I remember correctly it’s a basic grammar/spelling test but it’s been a while since I originally took it. How long did the two captioning test take you? I know it gives you 3 hours max, but did it take you that long? I just want to make sure I give myself enough time to do it! I don’t remember exactly how long it took me but I can tell you with confidence it was nowhere near three hours 🙂 In fact, I want to say it was around a half hour, but it’s been a while so I can’t say for sure. They give you lots of time to go back and check your work, and to be able to leave it and come back to it if you need to. Leave yourself plenty of time, but I don’t think anyone actually needs the full 3 hours to complete the test itself. Hope this helps (and good luck)! Hi! I am definitely interested in applying to Rev.com. Do i need any type of software or extra equipment other than the foot pedal. Finally got movedinto our place and got the computer set up. Now ready to apply. What foot pedal do you recommend. Yes! I do believe there are a handful of Canadian captioners! They do use only “American” spelling and grammar but other than that as far as I know Canadians are welcome to apply. Good luck! Thanks so much! I’m excited to check it out! I used to be a high ranking medical administrator in a well respected community. Not only am I an introvert, but I am diagnosed with PTSD,Anxiety & Depression. Consequently, I am disabled and really unable to perform in”mainstream ” employment situations. I do however enjoy a summer gardening business, and sometimes concierging. Thanks so much for this information. I just finished my application and am looking forward to hearing back from the company. The transcribing took much longer than I expected and I found I had to re-listen to portions of the clip 4 or 5 times to hear through background noises such as birds and coughs. Thanks again! Do you need to provide Rev with your social security number? I believe I did have to provide it (it’s been a while) for tax purposes. It’s considered contractor income so you fill out a W9(?) and receive a 1099 at the end of the year if you earn more than $600. You’re very welcome Simone! I hope you get accepted too, it’s definitely one of the more interesting side jobs I have had. Lots of unique content to pick from. Just a word of caution: to get out of Rookie status, you have to cut your teeth on some difficult, sometimes boring files. Don’t let that discourage you-once you pass that level it opens up LOTS of other content that’s much more interesting! This blog post is fantastic! Thank you! I am starting my blog right now but it’s just not ready to really earn money, so I have been looking for something to help in the mean time. One thing I loved about this is that it’s something I feel good about doing, and I know I can do it! Thank you so much for the recommendation! I am hearing impaired and love the captions- use them all the time! So thank you to all captioners!!! Well thank you for your comment Sunny! I am humbled by your kind words. I am glad that there are people out there who are able to enjoy video with the help of captions. Depending on the degree of the hearing impairment, it might be possible for you to do the captioning as well with a pair of really good quality earphones, but if that’s not the case, then I hope you continue to find the captions you view helpful and accurate (I cringe when I see the ones that are way off, it’s not fair to the viewers who need them!). Thanks for reading! I, too, use closed captioning always. Another benefit to cc is that my children’s reading skills improved during their early years of school. Hi from Philippines here, can we apply also on Rev? Thanks! You know, I’m not 100% certain on that, but it’s certainly worth a shot! I think their only requirement is strong English skills, I don’t think they have geographical limitations, but you should check with them to be sure. Also, if you speak other languages, they pay even more for translation services than they do for transcription and captioning, so it could open up another option for you as well if you speak more than one language! This sounds really interesting! Thanks for sharing! I was wondering do you needs certain skills to do captioning to be able to sync the words to a video? Hello! Thanks so much for sharing. I went on to apply and noticed there is also availability for transcribing. Would you recommend one over the other? Why or why not? Thanks for your insight! You can actually apply for both and work in both sections. Some people prefer one over the other and do primarily their favorite, but fill in with the other when work is available. I prefer captioning myself because the content tends to be more interesting to me plus I find that being able to read lips helps me put difficult audio into context. Transcriptioning tended to be drier content but seemed to pay more because less people do it. The rules/style guide for both are slightly different too. I would suggest trying both to see which you prefer, or if you like doing both then you have twice as many revenue opportunities! Thanks for sharing this! I just got hired on and I’m excited to bring in extra income for our family! Hello, I’m curious, does it matter what kind of computer I have? Mac or PC? Does the program work on both? Thanks for sharing this! I’m excited to try it out! Love it! Just signed up. This is perfect for my situation. I need to get a little faster, but I’m not super slow at typing. Is this something I could do on an iPad? Sorry if this is a repeat question, I scrolled through all the comments for the answer and never saw it so figured I would ask. This sounds so awesome for me as a stay at home mom! I have tried to sign up for Rev in the past but never received any work. I think they are probably flooded with applicants. However, this is a great idea. I’m sure there are other companies out there that offer video captioning services, and are hiring. Definitely a great idea! I’m doing research for a blog post on my blog, fromtotstoteens.net about at home jobs for teens, and I thought this was perfect! I have two introvert teens that are great with computers, and I will definitely be adding this job, as well as the link, to my list. Thanks for sharing! Interesting. Dunno if i have time to do this since i have blogging and etsy, but maybe when one is slow i can try since I have done medical editing from home. It was so stressful though as most of the files were garbage! I applied for this earlier today. I’m telling you, I completely aced the test and perfected the output from the audio recording I listed to (even stuck a timestamp in there for inaudible audio) and I was rejected. The frustrating part is they wouldn’t tell me why, but did list a few common reasons for rejections. I am confident I didn’t commit any of the things they listed, and will just assume they are a flooded market! LOL! Dang! Unfortunately I don’t have any inside info so I can’t say why you were rejected. I know when I started last year, I passed the test but then was told I couldn’t start for a few weeks because they had an influx of people and didn’t want to spread the work too thin. I do wish they would tell people specifics on why they didn’t pass, especially since I believe you can apply again in the future, so it would be nice to know what to work on (or if the issue wasn’t something YOU did, but rather due to something on their end like not enough work or whatever). Sorry it didn’t work out for you! I have applied for Rev.com and they said only 12% of people are accepted, mine was not. I do not know why and they won’t tell me. Was anyone else accepted on the first try? I have applied to REV three times and cannot get accepted. I have no idea what I am doing wrong. Do you have any tips? how long does it take you to do one job? Hello! Thank you for sharing a screen shot of your earnings. Can I ask how much of that money you get to keep after taxes? Thanks! Hi! Do you have to be 18 to do this? Thanks!! I think you do, but honestly I’m not 100% sure though. Give it a try the worst they can say is no! Never know there is a website dedicated to CC and transcription. I had tried my luck for such gigs on freelancer but found nothing apparently. Thanks to you rose for sharing it with us. Hopefully you’ll have better luck with this than going solo. It’s a lot of fun and a nice little side job. About how many hours per week do you think you spend doing this to earn what you are currently earning? I took the first test last night and they already emailed me this morning wanting me to take the final two. Fingers crossed that I pass. I actually loved doing the first test and thought it was fun. This would be a great way to help pay for my daycare costs! It’s hard to say because I don’t really track my time. Lately I’ve done it less but with a couple hours a day over the last 3 weeks I made $600 to pay for a blogging conferenceI’m attending, so it kind of varies. I hope you pass, the work can be really interesting. It often starts out hard and boring, because “rookies” get the tough stuff to cut their teeth on, so don’t give up! Once you get to 1200 minutes captioned, you get to be Rev+ which gets a little bump in pay, and first pick of all the projects and there’s often MUCH more interesting content. Good luck! Let me know how you do once you get going. Good luck Elizabeth! It’s a lot of fun! Hi. Sorry if this has been brought up already… I’m fighting a headache & didn’t read all the comments first but I’ve applied to Rev twice now & have been failed on the test both times. The email says only 12% pass the test the first time (so imagine how second-class I feel now that I failed it again?). Maybe my hearing is worse than I think it is but I thought for sure I’d have passed this time. I’d love to do this kinda work & think (thought?!?) I’d be good at it, but apparently they look for something I’m unaware of. Stupid question. What does the foot pedal do? Not a stupid question at all! The foot pedal can be used to control the starting and pausing of the video. It’s not necessary to do the work-you can use a keyboard button like the tab key to do the same thing, however some people find it a little faster to use the foot pedal so you don’t have to move your hands to start and stop the video playback. It’s totally personal preference. 🙂 Hope this helps! You said you’re averaging 200-400$ a week. How many files are you working on a week and how many hours a week did you spend working on them? Are you able to start a file one day and save it and continue it the next day if you don’t have time to finish it? I’m thinking of signing up for this for some extra money on the side. I’m from Canada so I’m hoping that the time I put in it will be worth the money. Thank you! Sorry I missed your comment Melanie! The number of files varies, each file can be totally different lengths and prices per minute. You choose what you want to work on based on length, price, due date and content of the video. Some you can put off till the next day, some are due in shorter timeframes, but you have that info before you decide to sign up. You have one hour after claiming to unclaim without penalty for any reason (too boring, something came up, etc) but after that you get “dinged”. You have up to one hour AFTER the time the project is due to turn it in and it’s then marked as late. If you don’t submit it within that hour, then it’s automatically unclaimed and you lose the project. That doesn’t happen often, but it can occasionally. I don’t know what the price per minute is on rookie and rever levels anymore, but rev+ is generally 54 cents per minute up to 87 cents per minute on average. Hope this helps! Can you talk to me about rev income and taxes? That being said-the income you receive is pre-tax. I believe when I signed up I filled out a 1099 which is like independent contractor stuff. When my taxes are done, that income gets factored in. I have an accountant who does mine, so unfortunately I can’t tell you any specifics beyond that because I honestly don’t know since she does that for me along with my blog income which is the same kind of thing (independent contractor/freelancer). Sorry I can’t be more of help on this! Excellent! I hope you’re able to get in and get started! The work is tedious at first in rookie status but stick with it, once you get to Revver or Revver+ the projects are much more fun and interesting! Thank you so much for posting this! I’m a military wife and dude we so need a second income. You are awesome! I wish I had friends like you! Have a good day! Hi, I’m actually really thankful that you posted this. For a while I’ve been in search for a site that doesn’t cost anything for me to use my fast fingers on a keyboard, and multi-tasking skills through my laptop. I’m a college student that has no job at the moment due to the school purpose and found this really helpful, just one question. I saw someone asking about taxes but I wanted to know, is there a certain amount we’d have to file for? Meaning if I were to do this now and the income that I receive is just $600, would I have to file this in my taxes in April? Thanks again. So glad you found this post too! Fast fingers will REALLY help you with Rev. Once you get started too there’s keyboard shortcuts you can use and program your own (so for example, I have “diff” programmed to be “different” and u is “you” stuff like that to make it even faster). As far as taxes go, you do have to claim the income, but I am not sure on specifics because I actually use an accountant who files for me because of my blog income. I believe though you file as an independent contractor, and I *think* you fill out a 1099 form when you sign up with Rev, but it’s been so long I honestly don’t remember when I signed up. That being said I would definitely suggest checking with a tax professional, even if it’s just looking into it on like TurboTax when you go to file. I do know that they do not withhold any taxes from your pay, so the income definitely has to be claimed, I’m just not sure what the specifics are. You might even find a thread on it in the Rev Forum on the site once you get in-I am guessing this is a question that other Revvers have too! Sorry I can’t be more help there! Good luck with Rev, I’m glad you are finding it useful. Thanks for sharing….will look forward to signing up! Thank you! Any advice is appreciated! Hi Kim, sorry for the delayed reply. No, you don’t need any kind of resume to apply. Stay at home moms are totally encouraged (in fact I think you’ll find a lot of them there!). The only thing you have to do if I remember correctly is pass a test which includes some grammar/spelling type stuff and I believe they have you do a test file as well. It’s been a while since I started with them, so I’m not 100% sure I’m remembering the test accurately, but there was no resume required when I joined. Hope this helps! Good luck! Can you make a recommendation for a quality USB foot pedal? This could be exactly what I am looking for! Thank you so much for sharing! Thanks for posting this. I’m newly divorced and need some extra money coming in. Will def be looking into this more. You’re very welcome! Sorry to hear about your divorce, but I hope that this opportunity is able to help get you feeling a little more stable in your new normal! Best of luck! I’m curious – do you still work for Rev? It has been awhile since you originally wrote this post. Thanks for sharing! I’m curious about the earnings. What is the difference between the first and second column of time? Is that the time it took to type or the length of the transcription? Trying to weigh out all options to see if would work for me. What if you wanna “quit”.. is that a hard/specific process? Huh, I never would have thought that my fast typing ability could be used to make me some money. I know that transcription work like this isn’t as easy most people think, but I think I’ll still have to give this a shot. Hi there, just wondering if you were still working with REV? Hi there — just FYI that rev.com is almost impossible to be accepted with as a Captioner, or anything, as of today. I went through their 3 video screening process and was meticulous with my work, but was still declined. I got a generic email reply that only 12% of applicants get hired. Sorry you didn’t get accepted. I know a few people have gotten in recently, so it’s not impossible. It’s possible that you didn’t pass the tests, or that they aren’t currently taking new captioners. I of course am not privy to that information, but those are the typical reasons for being declined. You can always try again later. They try not to onboard too many new captioners if they don’t have the work to give them from what I have heard. Hello, I am very interested in learning more. Thank you in advance for your time. This sounds like a great opportunity! I’m an introvert currently in sales and it’s a real struggle for me!!!!!! I’m a stay at home mom now and so I’m constantly chasing my baby who is crawling everywhere. He naps for 1.5 hours 2-3 times a day. I’m wondering if I would be able to pause it and come back to it later? Or does it have to be done within a certain amount of time? I’m trying to think of this is reasonable for me right now. To answer your question: kind of. When you select a file to work on, it tells you the due date/time. You have to finish it by that time, but there’s usually more than enough time (usually you have 24 hours or more depending on file length and how long it’s been sitting in the queue). You’ll be able to pause and come back later, as long as it’s done by the deadline. You have an additional hour AFTER the deadline to finish (with a penalty to your stats) and then after that hour it is automatically unclaimed and put back in the queue and you lose payment for that file AND take a hit to your stats. So there is some wiggle room, and you could go and come back, you just have to plan ahead a bit when choosing what files you want to do. Hope this helps! Thanks for sharing this. I recently stopped working full-time and am a total introvert. Captioning is the perfect gig because I’m a fast typer. It’s definitely not a lot of money, but once you get good at it, it’s something. Exactly! The faster you get though, the more money you can make. Especially since they have hotkeys you can program that are like shorthand for words or phrases you use often or are hard to spell. Makes it go even faster. Hope it works out for you! Hello! Thank You very much for such information is priceless, my question is, Do I need to have any kind of experience in the field to apply and be accepted?, What are the requirements in order to apply? Being an introvert sometimes i find expressing myself difficult. I know i am not the only one. Its just like hurdle while choosing the right career. Here you have shared some of the best career for introverts, it will be helpful for all introverts to choose among best career options.Thanks for sharing! Hi, I was wondering what exactly is the difference between being a transcriptionist and a captioner? I am very interested in this! I love typing. Rose, excellent suggestion for an INFJ like myself. Can’t thank you enough! Thank you. I only found out I was an INFP last year. If I had known earlier, I would have chosen a different career path. Thank you so much for sharing this. I stumbled upon this post in February. I was accepted first try. I moved up to revver within a week, and then life happened. I’ve been able to get back into it this month, and am already on par to earn around $150 this month. Not a ton, but for only working during my kids nap times, not having to talk to anyone, and getting to work when I want, that’s a pretty sweet deal! Hopefully this helps people who come across your page hear of some good results. I did apply for transcriber twice now and got rejected both times, but captioning is keeping me plenty busy! How did you sign up in paypal? I mean as Business account or freelance account or Individual account? You can do it either way! I signed up as a business because of my blog (I receive a lot of payments from sponsors, etc. that way). With the business account you can get a business debit card, which is really handy, but you’ll want to look at both and weigh out your options to see which is the best fit for you! Thanks so much for sharing your experience Kelsey! I’m so glad to hear you got approved and are rocking it! It’s definitely a nice little side income and I gotta say once I hit Revver+ there was a ton of really interesting files to work on. I did everything from TV shows to old Looney Toons cartoons, YouTube vlogs, college courses and everything in between. Lots of really interesting stuff! Thanks again for coming back to share how it worked out for you, I hope you continue to enjoy it! This sounds like it might be just the thing for you since it’s really flexible! As of the last time I checked (which was a few months ago) PayPal was the only option, but I’ve been using PayPal for years without incident. I would definitely double check with Rev though to see if they are going to offer another option now or in the future! Just curious, about how much would you estimate someone will have to pay back in taxes? I read someone’s idea of going to different sites, like Fiverr after finding out I could freelance for things. I finally this afternoon went into a freelancer site and rediscovered skills I had forgotten about for 6+ years. Now in 4-5 hours I got 2-3 job offers! I only filled out my profile and also applied to about 13 jobs that were there. I dang well had a big FIT! I couldn’t believe I was hired in a few SHORT hours, unlike what “going to work” used to be! Hi I love the information you have here. I would love to give this a try. I’m also curious do you have any information on starting your own blog? I have been wanting to do this for years but haven’t because I just cant figure out the basics. I have looked into info about blogs several times but I would love some insight from you, if you have any. Thank you so much! This seems like a great opportunity, thanks for bringing it to my attention. As you’ve said, it won’t make you a millionaire, but a few hundred dollars extra every month is not to be laughed at. The flexibility makes it ideal too, as you can easily tailor this around your 9-5 or other side hustles to maximize your earnings, or you could use it to fill in any gaps in your earnings if you’re self-employed. Whoop whoop! I’ve just taken the application test for transcribing, and I’ve been accepted – within an hour! Soooo pleased. Thank you for sharing your post and the info about Rev.com. I took a while to take the test to make sure that I didn’t overlook anything, and played the tape back so I could follow through my typed word. 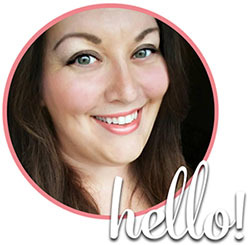 I’m a new to blogging / affiliate marketing and currently underway with a course on ‘how to’, so this nice little earner will really help during the transition as I get my blog posts up and out there! Result. Over the moon! Much appreciated. hey i am from india . Do you think they’ll hire someone who’s first language isn’t English? Thanks so much for this tip. I’ve just signed up with Rev – fingers crossed they accept my application! I’m writing from New Zealand so have to make sure I spell in American-eeze! Hello. Their recent reviews are horrible! Are you still with this company? Thank you for the information! This seems like a great idea! I am going to check it out and see how it goes. Thanks for the tips. Going to subscribe for more!